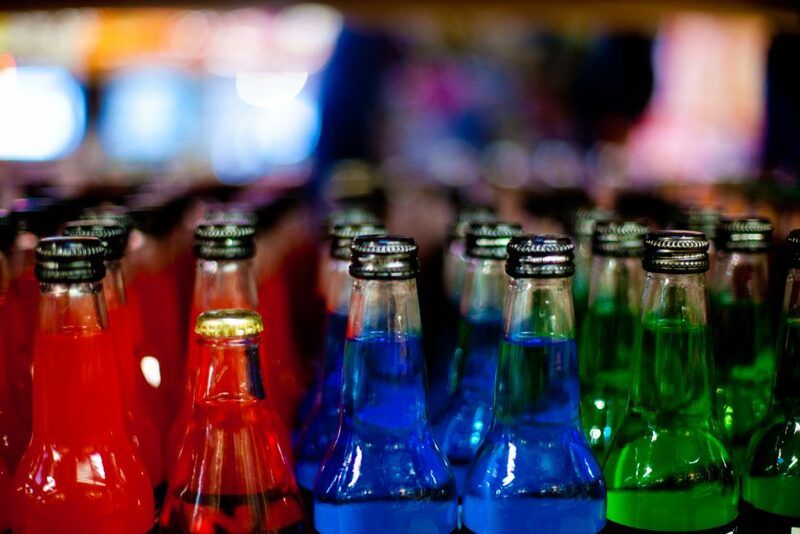 This paper presents a comprehensive review of the status of health-related taxes on food and drinks, globally and in the UK. It outlines the public health issues and likely costs to the NHS arising from over-consumption of energy dense foods and beverages that are high in fat and sugar. It shows that such foods have become increasingly popular in recent years, partly because they are cheaper than healthier foods, and then examines the tax options available for attempting a reduction in their consumption. The experience of countries already implementing food and drink taxes is presented and the models estimating the potential impact of such a tax in the UK are summarised. The counter-arguments are discussed. • Over-consumption of foods and beverages high in fat, sugar and salt content, associated with heightened risk for obesity and diet-related non-communicable diseases (NCDs), is one of the biggest public health problems facing the UK. • Increasing the price of unhealthy foods and beverages through taxes is a potential policy measure to discourage over-consumption. • Preliminary evidence from similar taxes in other countries suggests that these have been effective in reducing purchases, but the long-run impact on consumption and population health is yet to be evaluated. • The effectiveness of the tax in reducing consumption of unhealthy foods and beverages depends on its design. A higher tax rate, combined with gradual increases, and a broader tax base has greater potential to influence health. However, proposals for such taxes are likely to face great opposition from the food and beverage industry. • Other regulatory measures and novel voluntary actions by food producers and food retailers need to be developed and implemented alongside such taxes in order to fight obesity and non-communicable diseases. You can contribute to the discussion by posting comments on this page. Please note that comments will be held for moderation. 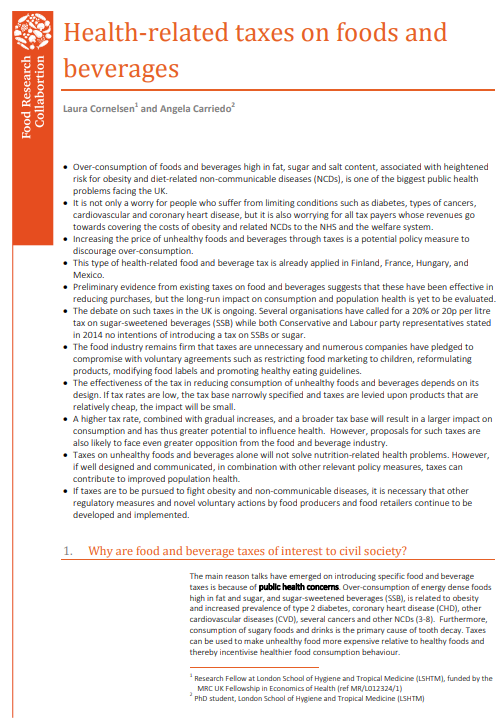 In the first version of this report, on page 8, it was stated that Public Health England (PHE) had recommended a 20 p per litre tax on sugar sweetened beverages. This is incorrect- it was, in fact, a November 2013 report from the Faculty of Public Health (FPH) that supported this view. The error, for which we apologise, has now been corrected. Could you let us know exactly what is the nature of the error? Is the file not loading for you when you click on the ‘Download’ link? Very interesting article. How can I cite this? Hi Chloe, the link should now be fixed. Apologies!